Posted January 25th, 2016 by CarSoldForCash & filed under Home Page. Posted January 22nd, 2016 by CarSoldForCash & filed under Home Page. Posted November 19th, 2015 by CarSoldForCash & filed under Home Page. Out with the old in with the cash! Selling a car in Utah? Posted December 30th, 2014 by CarSoldForCash & filed under Uncategorized. Posted November 25th, 2014 by CarSoldForCash & filed under Uncategorized. Posted April 4th, 2014 by CarSoldForCash & filed under Uncategorized. 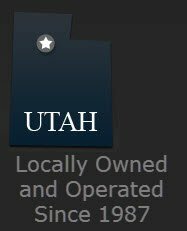 We are a family owned and operated business and our entire world revolves around helping folks out who have that same question in mind, “Who will buy my car in Salt Lake City, Utah?” We have been along a lot longer than almost any other company you will talk to! Get cash on the spot for a used car, truck or van! FREE car giveaway TODAY in Salt Lake City, UT! Happy St. Patrick’s Day to everyone here in Salt Lake City. Today was the first giveaway of the 60 Big Tane car giveaway! It is March and we are giving away cash for cars and Girl Scout Cookies ALL over Salt Lake City, UT! Running or Not – Here We Come!! Cars for Cash and Girl Scout Cookies in Salt Lake City today! Give us a call today! We want to give you cash for your car and a box of Girl Scout Cookies today! The car buying adventures never end with Big Tane and CarSoldForCash.com. It’s rare that someone wants a pair of reading glasses for payment on their truck or car! If the occasion calls for it – SURE!! .. We’ll go the extra mile to work with our customers! Company founder, Big Tane has been buying cars for almost 30 years in Salt Lake City, Utah! If you are wondering where to sell your car in Salt Lake City, call the Utah professionals! Car buying is a great adventure! Big cars and small cars Big Tane has bought them all! Lucky Winner gets FREE car on St. Patrick’s Day! Posted January 20th, 2014 by CarSoldForCash & filed under Uncategorized. Do you feel lucky! Enter to win a FREE car and get lucky on St. Patricks Day! We will be giving away this fantastic 1994 Mercury Topaz on St. Patrick’s Day! It’s not everyday you have the chance to win a sweet car like this! You can go enter to win all these fancy-shmancy new cars that people get all excited about just about anywhere. Many people call us looking to get cash for their junk or broken down car to help pay for holiday gifts or other expenses. Even though the leaves have changed colors, fall is the time to capture some “green”. We’ve been in business, buying cars around Salt Lake City day in and day out, for over 25 years! What happens when we pay our customers cash for their cars? Check it out! Posted September 9th, 2013 by CarSoldForCash & filed under Uncategorized. Maybe it’s a surprise. Maybe not – We LOVE our customers! We helped this guy get his broken down car off the busy freeway AND gave him cash when we towed it away for free! Car broken down on the way to work! We’ll pay you cash for your car and get you out of that bind! Posted August 2nd, 2013 by CarSoldForCash & filed under Uncategorized. Want a laugh? Check out the Car Sold For Cash Utah Jingle! Posted February 2nd, 2012 by CarSoldForCash & filed under Uncategorized. Only the greatest companies have jingles. Alka-Selzer, Kit-Kat, Bologna, and of course CarSoldForCash.com to name a few. We caught Big Tane on camera to bring you the CSFC jingle. It’s not really our style to throw our jingle out there on the radio. We thought you’d probably like to listen to Big Tane sing MANY more times a day than waiting to hear it on the radio would give you the chance for! While we’re out buying cars, we find some amazing things. Here’s another CarSoldforCash treasure! Check out this mail box! We fell in love! The BEST Volkswagon Jetta we’ve ever seen!